Ever wondered what is it like to play a role of a detective? Want to put on your thinking cap and look for clues? The Escape Hunt Experience offers a unique, exciting and family friendly place to hold your next event! We offer a true “experience” where you are transported back over 100 years and play the part of a famous detective and their fellow friends (your group of friends!) to solve a mystery. As a team, race against the clock in one of three themed rooms to unveil the guilty suspect’s identity and thereby making your “escape”! You will need to use your combined skills to find clues, solve puzzles and crack codes in order to beat the clock – can you escape the room in time? Larger groups can be accommodated by splitting up into matching rooms, competing to see which group will escape first. Each mystery game has been designed to challenge the senses and requires brainpower, teamwork, decision making, resilience, perseverance, problem solving, code-breaking, puzzles, and plenty of red herrings. A “gamesmaster” watches ongoing games from outside via CCTV and can assist if required. Adventures last around 90 minutes as after the 60 minute game you can chat about your experience in the luxurious lounge area over a cool drink or nice cup of tea and then dress up in period costume for photos. 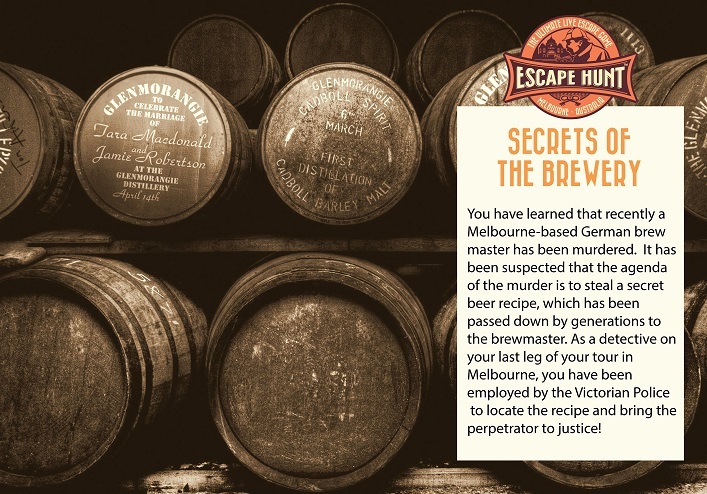 Situated in Queen St Melbourne, the Escape Hunt is open from 10:00am to 10:00pm, 7 days a week. With cafes, restaurants and plenty of shopping venues near-by, make this an exciting and fun-filled outing to remember! 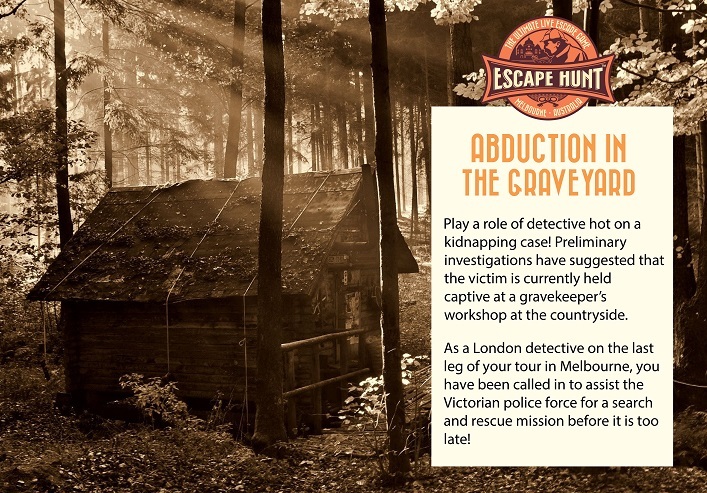 The Escape Hunt Experience is one of the top tourist attractions in multiple cities across the world (highly rated on Trip Advisor). With 137 game rooms world-wide, including Sydney, Melbourne, Brisbane, Perth, the Gold Coast and opening soon in Adelaide. 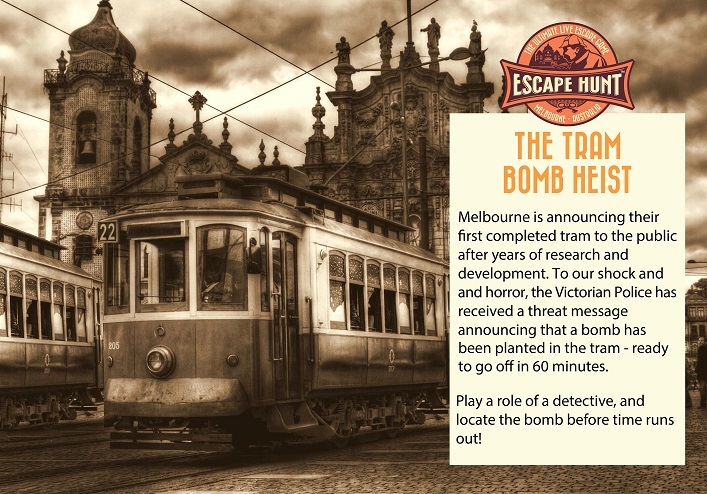 melbourne.escapehunt.com or call 03 9600 1086 from 10am-10pm.